We have a fantasy in our family. We are going to open a kosher restaurant focused primarily on chicken wings. Really, really good chicken wings. Oh, and hot and crispy French fries. It’s not totally out of the realm of possibility, but the likelihood is that this will never happen. Truth is…I can’t imagine working day in and day out with family. Family businesses aren’t for everyone, but Shelby, Jackie, and Amy Zitelman are making it work. Big time. The “Soom Sisters” are the proprietors of Soom Foods. Soom Foods launched in 2012 as a purveyor of tehina made from roasted and pressed Ethiopian white humera sesame seeds. 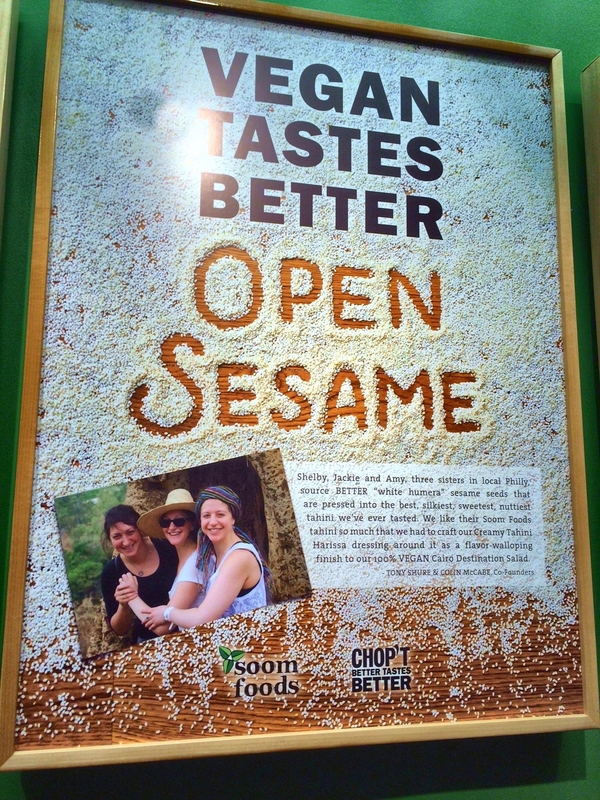 When Jackie’s husband, Omri, an Israeli tehina expert, introduced the girls to this sesame treasure they were determined to make it available to the American market. The Zitelman sisters are positioned to take tehina to a new level, with a high-quality product that is kosher-certified, gluten-free, peanut-free, and vegan. I was never the biggest fan of tehina. But the Zitelman girls, all graduates of the Charles E. Smith Jewish Day School in Rockville, are former classmates of my children. After hearing about the new venture from their mom, I had to give it a try. The Soom Foods tehina changed me. I fell hard, and now my kitchen is never without it. Soom Foods tehina has also captured the attention of restaurateurs, such as Michael Solomonov of Philadelphia’s Zahav and David Magerman of Citron and Rose. Chop’t Creative Salad Company, with 24 locations in the Greater New York and Washington, DC area, is currently offering two salads featuring Soom Foods tehina. Chop’t is my go-to for lunchtime salads, and a Chop’t salad for dinner isn’t out of the question. I stopped by the Chop’t in Bethesda’s Wildwood Shopping Center to sample the salads, which for now are only offered in February. The Cairo is a Vegan salad, with a blend of pita chips, cucumber, tomato with romaine, kale, and creamy tahini harissa. The fiery dressing awakens the senses, transforming a few fresh ingredients into a bold and exciting salad. The Chop’t’ Hokkaido salad with lemon pepper chicken, kohlrabi, soba noodles, carrots, walnuts, and mesclun and spinach is recommended with creamy Asian sesame dressing, also made from Soom Foods tehina. I change it up, adding the dressing to the Modern Asian salad instead. This is a more subtle dressing that nicely ties together the Asian-inspired ingredients of edamame, pickled broccoli and carrot slaw, crispy Chinese noodles and spinach and romaine lettuces. The Zitelman sister’s growing success is evident as soon as you enter the Chop’t in Bethesda. Jackie Z., now living in Israel, says “Before I moved to Israel I worked at an office in Dupont Circle in D.C. When I felt like eating out for lunch there was only one place I would go – CHOP’T. At that stage in my life it didn’t occur to me that one day I could actually be selling a product to them. And here we are, about five years later and our picture is ON THE WALL!! It is very exciting! I’ll be making a return visit to Chop’t this month in support of Soom Foods and their fabulous dressings. And, if my family ever decides to turn our fantasy into reality, I can promise you there will be chicken wings with Soom Foods tehina. Soom Foods tehina is available in Maryland at Moti’s Market, Shalom Kosher, and more. The tehina can also be ordered online. 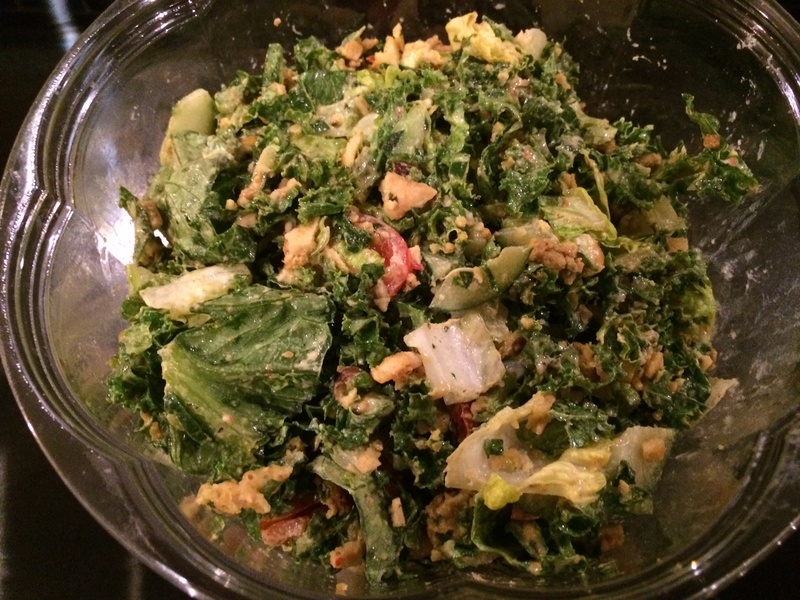 Chop’t Creative Salad Company has locations in New York and DC. I too, am never without Soom tahina on my shelf-several bottles. I’ll meet you at Chop’t anytime! I’ve found I add Soom tahina to everything these days …. soups, salads and a bit on my veggies too! Kay and Lori … it’s a date! I met one of the Soom sisters last week and when she told me about her special seeds from Ethiopia they use for their tahina I was excited to try it. If I can’t find some soon I’ll stop by Chop’t to give it a try on one of their salads. Thanks for reminding me about that option, Lori. Aviva, you can get Soom’s tehina at Moti’s Market in Rockville (formerly KosherMart) or Shalom Kosher Market. I’ll find out if there are other local outlets and let you know.